1. 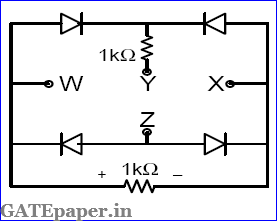 In the circuit shown below, what is the output voltage (Vout), if a silicon transistor Q and an ideal OP-AMP are used? 2. 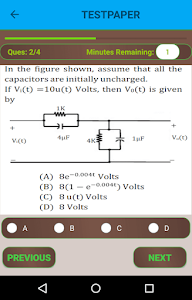 In a voltage – voltage feedback as shown below, which one of the following statements is TRUE, if the gain K is increased? 1. Two dimensional addressing of 256 X 8 bit ROM using 8 to 1 selectors requires _______ (how many?) NAND gates. 2. 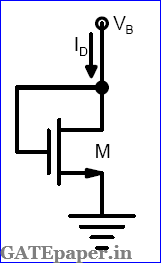 The CMOS equivalent of the following nMOS gate (shown in figure) is ________ (Draw the circuit). 3. A bit stored in a FAMOS device can be erased by ___________. 5. The program given below is run on an 8085 based microcomputer system. Determine the contents of the registers: PC, SP, B, C, H, L after a halt instruction is executed. 6. The four variable function f is given in terms of min-terms as f(A, B, C, D) = ∑m(2,3,8,10,11,12,14,15). Using the K-map minimize the function in the sum of products form. Also, give the realization using only two input NAND gates. 7. An S-R flip flop can be converted into a T flip flop by connecting ____ to Qbar and _____ to Q. 3. 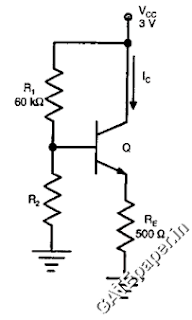 The figure shows the circuit of a gate in the Resistor Transistor Logic (RTL) family. d. Arithmetic and logic operations can be directly performed with the I/O data. At the completion of the execution of the program, the program counter of the 8085 contains _____________ and the stack pointer contains _______________. c. It is desirable to convert a J-K flip flop into X-Y flip flop by adding some external gates, if necessary. 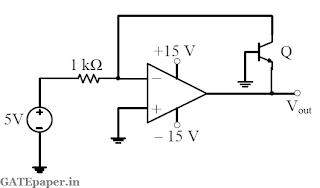 Draw a circuit to show how you will implement in X-Y flip flop using a J-K flip flop. d. Better resolution compared to all other types of A/D converters for the same number of bits. 9. A combinational circuit has three inputs A, B and C and an output F. F is true only for the following combinations. a. Write the truth table for F. Use convention, true = 1 and false = 0.
b. Write the simplified expression for F as a sum of products. c. Write the simplified expression for F as a product of sums. d. Draw the logic circuit implementation of F using the minimum number of 2 input NAND gates only. 10. 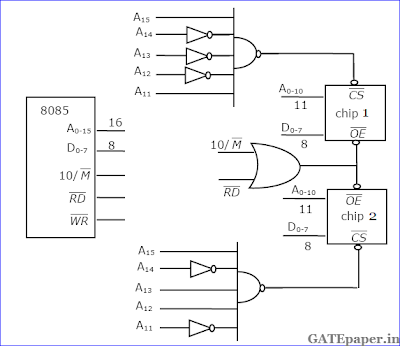 Figure shows the memory circuit of 8085 microprocessor. a. What is the total size of the memory in the circuit? b. What are the beginning and ending addresses of the memory in chip 1? c. What are the beginning and ending addresses of the memory in chip 2? d. Are the memory chips in the circuit ROM or RAM? e. How will you replace the two NAND gates I the circuit with one 3 to 8 decoder without changing the memory size or the memory addresses? Assume that the decoder has one active high enable E1 and one active low enable E2. 2. 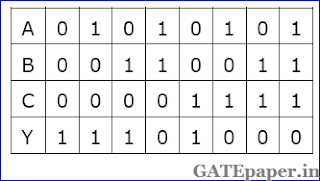 The truth table for the output Y in terms of three inputs A, B and C are given. 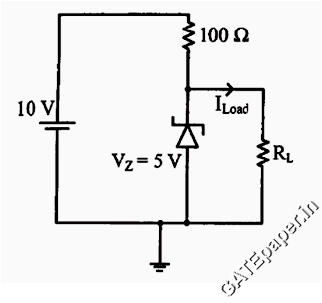 Draw a logic circuit realization using only NOR gates. 5. A pulse train with a frequency of 1 MHz is counted using a modulo 1024 ripple counter built with JK flip-flops. 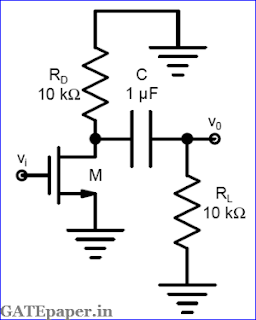 For proper operation of the counter, the maximum permissible propagation delay per flip flop stage is ____ nsec. 8. 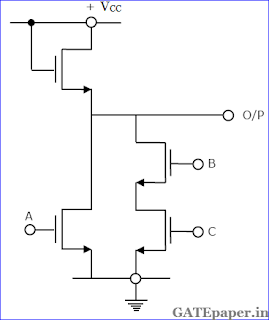 A clocked sequential circuit has three states, A, B and C and one input X. 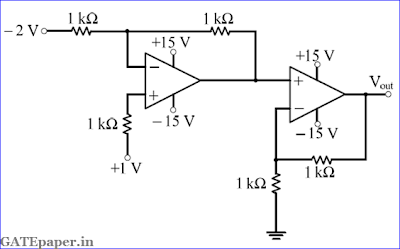 As long as the input X is ‘0’, the circuit alternates between the states A and B. if the input X becomes ‘1’(either in state A or in state B), the circuit goes to state C and remains in state C as long as X continues to be 1. The circuit returns to state A if the input becomes ‘0’ once again and from then on repeats its behavior. Assume that the state assignments are A = 00, B = 01 and C = 10.
a. 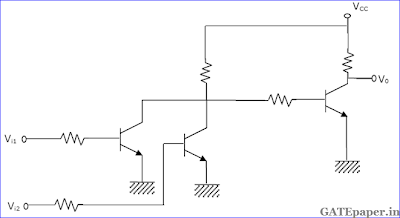 Draw the state diagram of the circuit. b. Give the state table of the circuit. c. Draw the circuit using D flip flops. 9. A microprocessor has five address lines [A4 – A0] and eight data lines [D7 – D0]. 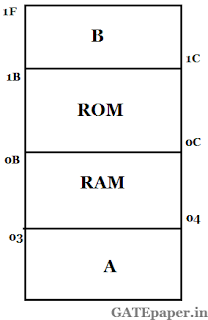 An input device A, an output device B, a ROM and a RAM are memory mapped to the microprocessor at the addresses as shown in figure. 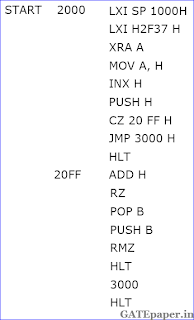 Devices A and B have four addressable registers each/ RAM has 8 bytes and ROM has 16 bytes. a. Indicate the address lines to be connected to each device and memory. b. 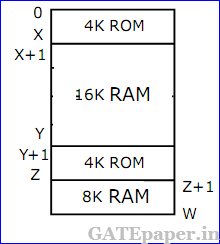 Obtain the minimum sum of product expression for the chip select (CS) function of each device/memory. 5. A 2 µsec pulse can be stretched into a 10 msec pulse by using a _______ circuit. 6. Synchronous counters are ________ than the ripple counters. 7. 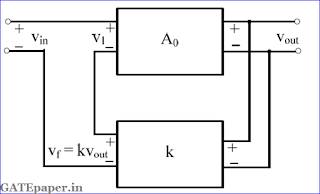 A ring oscillator consisting of 5 inverters is running at a frequency of 1 MHz. 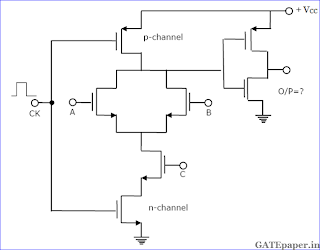 the propagation delay per each gate is ________ nsec. 10. 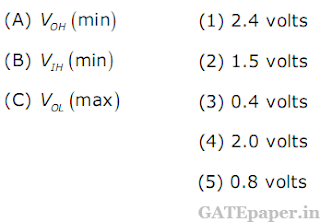 Match the following ADC’s with their Maximum conversion time for 8 bit digital output. 11. A Boolean function, F is given as sum of product (SOP) terms as P = ∑m (3, 4, 5, 6) with A, B and C as inputs. The function, F can be expressed on the karnaugh’s map shown below. b. What will be the minimized SOP expression for F2. 11. A ROM is used to implement the Boolean functions given below. a. What is the minimum size of the ROM required? 12. A hypothetical CPU has a parallel address bus, a parallel data bus, a RD and WR active LOW signals. Two ROMs of size 4K words each and two RAMs of sizes 16K and 8K words, respectively, are to be connected to the CPU. The memories are to be so connected that they fill the address space of the CU as per the memory map shown in the figure. Assuming tat chip select signals are active LOW. a. What is the number of lines in the address bus of the CPU? b. Determine the values of address X, Y, Z and W as decimal numbers. c. Using a 2 to 4 decoder and some additional gates, draw a circuit for the decoding logic. 13. 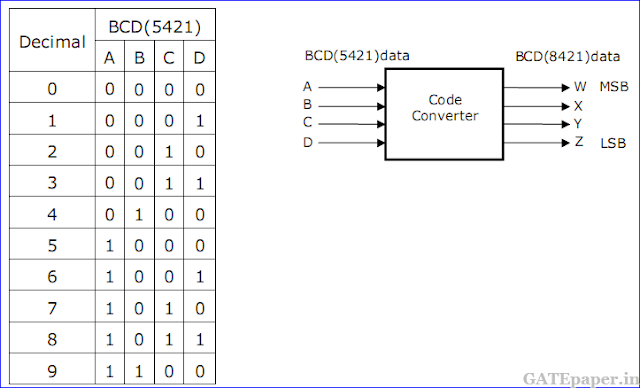 A ‘code converter’ is to be designed to convert from the BCD (5421) code to normal BCD (8421) code. The input BCD combinations for each digit are given below. A block diagram of the converter is shown in figure.